As with any treatment, it’s important to know all the ramifications of laser technology before you have your first session. As featured in the Health Intelligence Magazine By Dr Kamlen Pillay (MBChB, MBA, FAAAM). Today, presenting our best image to the world is a prerequisite. Fortunately, medical science has taken up the mantle in providing safe, effective and instantly gratifying procedures. Since the turn of the century, minimally invasive cosmetic procedures have usurped the spotlight from the traditional scalpel-based makeover. 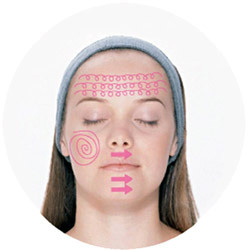 New medical technologies, from Botox to aesthetic lasers, have revolutionised our attitude towards looking beautiful. As part of this aesthetic revolution, the laser skin centre has become as ubiquitous as the corner grocery store, and everyone has joined the race to provide aesthetic procedures, from doctors to cosmetologists. However, it’s easy to get carried away with all the hype being created by the phenomenal variety of treatments that can be performed with lasers, but what exactly is a laser? How does it work and what are the pros and cons? These are just some of the important considerations to be mindful of before deciding to undergo laser treatment. In high school physics, you may remember shining a white light through a clear glass prism. The light came out the other side in a rainbow of colours. On either side of this visual spectrum are “colours” that are invisible to the human eye, that have wavelengths associated with ultraviolet, infrared rays. Lasers operate in both the visible and invisible spectrums of light and are unique because they have three properties that make their light different to other types of light, such as intense pulsed light (IPL). Firstly, they’re monochromatic, that is, one colour, one wavelength, which makes them very accurate. Because it operates in a narrow spectrum of light, it’s attracted to specific types of tissue. Secondly, lasers are extremely predictable and thirdly, far safer than other light therapies. A laser is a pure light form, stripped of all its distracting properties and amplified using radiation to make the light so powerful that it can actually burn and destroy a target; very similar to holding a magnifying glass over a piece of paper on a hot, sunny day. Laser wavelengths are attracted to different targets in the skin, known as chromophores or colour-carriers. For example, the chromophore for the CO2 Laser is water, while for the ND-Yag laser is melanin. The ND-Yag laser is used to destroy the melanin in a hair follicle for hair removal, while water in the skin is targeted for laser skin resurfacing. The water is heated to boiling point and disintegrates the tissue in the process. Wavelengths are aimed at different chromophores depending on the treatment conducted, to remove veins, hair, sun spots, scars, stretch-marks, cataracts, fat bellies and kidney stones. Most laser treatments are relatively painless and can be described as a stinging sensation, almost like a rubber band snapping on the skin. Depending on your skin type, though, the sensation can become unpleasant, so a topical anaesthetic will be used. 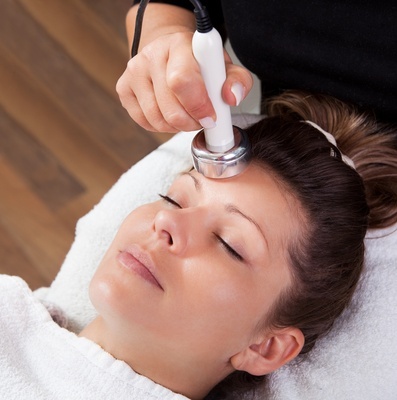 Before treatment, the skin is cooled to protect it from being burnt by the laser. Another precaution taken is to cool the skin again after the laser pulse has been delivered, to ensure that the heat is easily dissipated. Some of the better quality equipment is imported from America or Europe and comes with a FDA approval. However, some equipment used in SA comes from China and India. It would be unfair to label these machines ineffective and dangerous, but it’s fair to assume that, without rigorous FDA testing, nobody can really be sure about the safety of these machines. This, obviously, all has an influence on treatment costs. Lasers are highly technical machines. Anyone operating this equipment needs to be certified and have studied laser therapy.Sadly, this isn’t the case in all SA’s laser clinics. Since the aim of the treatment is to “burn” away unwanted tissue, such as hair, veins, pigmentations, etc, one of the major complications is burning normal, healthy tissue, which will result in scarring and pigmentation, it’s very important that you trust your therapist before starting treatment. There’s currently no convincing evidence to suggest that laser treatments could result in cancers or any other serious medical conditions. However, you should avoid treatment during pregnancy or while taking any skin sensitising medicines, such as isotretinoin. Mention all the medication you’re taking, both prescription and over-the-counter, to your therapist before you have any laser treatment. We’re relatively fortunate in SA to have access to a number of world-class laser treatment centres. However, these are few compared with the “fly-by-nighters”. Just ensure you’re happy with your therapist, their experience and equipment before you embark on any form of treatment.